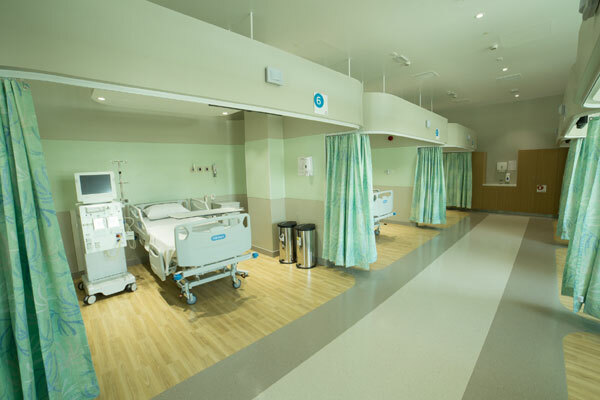 Summertown Interiors, a leading fit-out contractor specialising in green interiors in the UAE, has completed the new Mediclinic Dialysis Department at Airport Road Hospital in Abu Dhabi. The project, which took 12 weeks to finalise, was designed to allow for an open, functional space with apt room for both equipment and patients, said a statement from Summertown Interiors. A key element was to ensure plenty of natural light could enter, while still maintaining the privacy of patients, it stated. In addition to the installation of equipment in new treatment bays and clinical support areas to accommodate medical procedures, the fit -out also included a medication preparation room, a general storage unit, and housekeeping and dirty utility. Sarah Flowerday, the business development manager (Healthcare) said:"“We are delighted to have worked on such a prestigious project – a world-class, healthcare facility in the heart of the capital."